Deep below the streets of Soho, behind a concealed door, is a secret underground station. 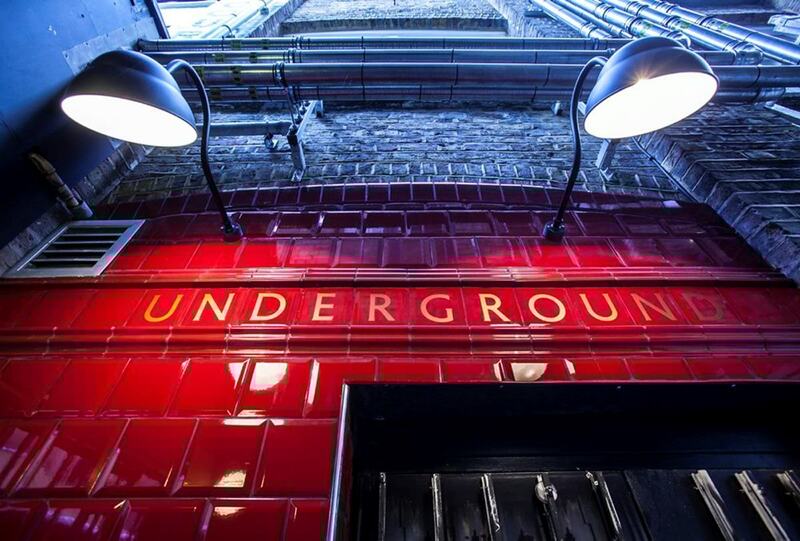 Once you've found the entrance, and stepped down inside, you'll find an entire tube carriage, authentic war-time interior features, and an air raid bunker. But this isn't just an intricately designed museum. It's a bar. 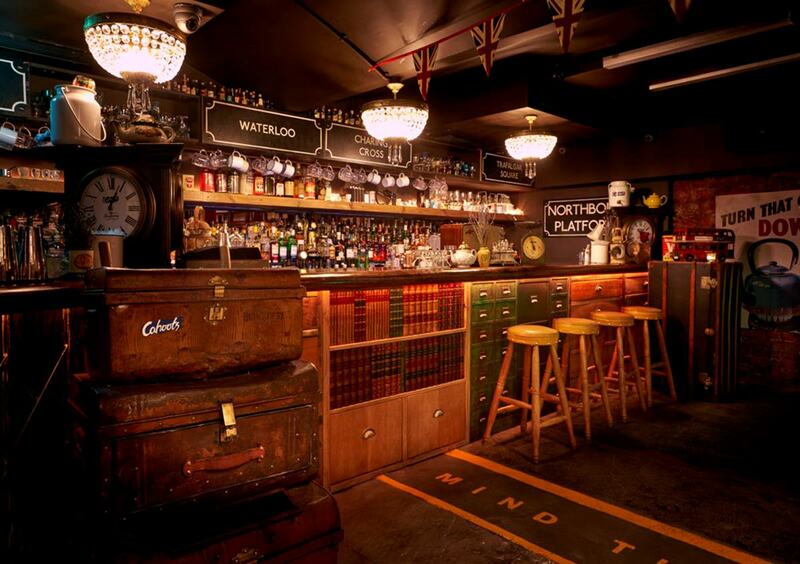 The entire concept behind this venue - from the authenticity of their features to their team of staff with 1940s accents - has to make it one of the most impressive bars in London. 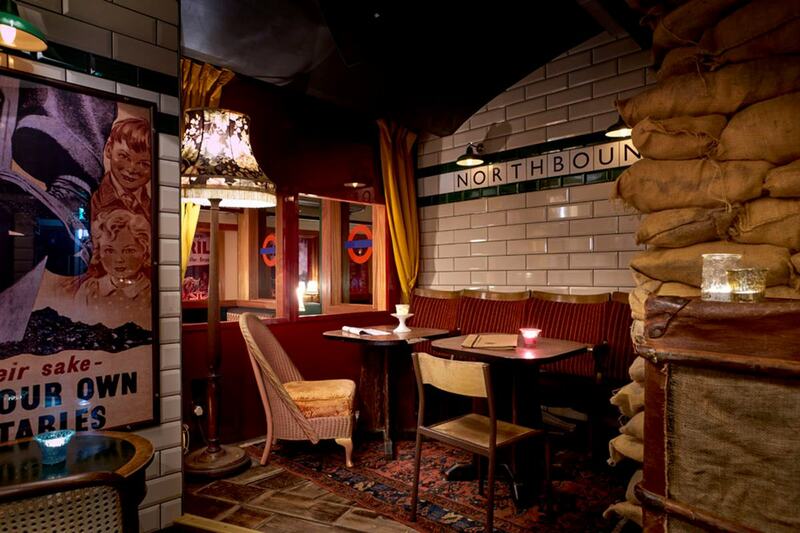 The attention to detail is incredible - all the features have been meticulously researched, making the entire bar feel like a time capsule, as if the whole place has secretly been there for 70 years and only just been rediscovered. The 'train staff' have fully developed back-stories, with intricate anecdotes about how they came to work for the bar. The menu is an elaborate, detailed book of eight pages, with cocktails that are served in thermos flasks, milk bottles, and one even comes inside a clock. And, most amazingly, there is an entire, authentic tube carriage. Every inch of the venue expresses the dedication and commitment of their design team, with every little detail revealing another ingenious idea. Pay special attention to the envelope that reads 'Do Not Open' at the back of the bar - you'll find their 'black market specials' which will be smuggled to your table in a secret container. 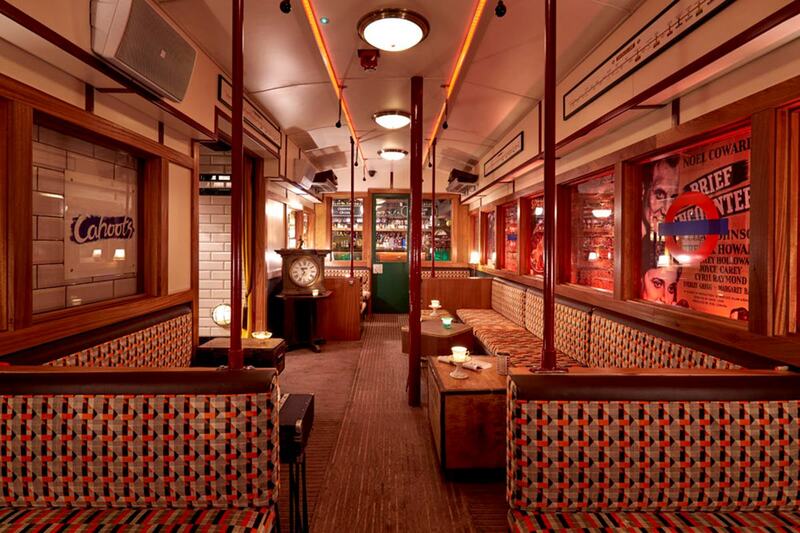 This entire bar, tube-carriage an' all, can be hired out for all sorts of events. Your birthday, office party or private dinner can be in one of London's trendiest and most impressive bars, and you can be confident that all of your guests will be utterly amazed.